Now compatible with amiibo cards and figures! 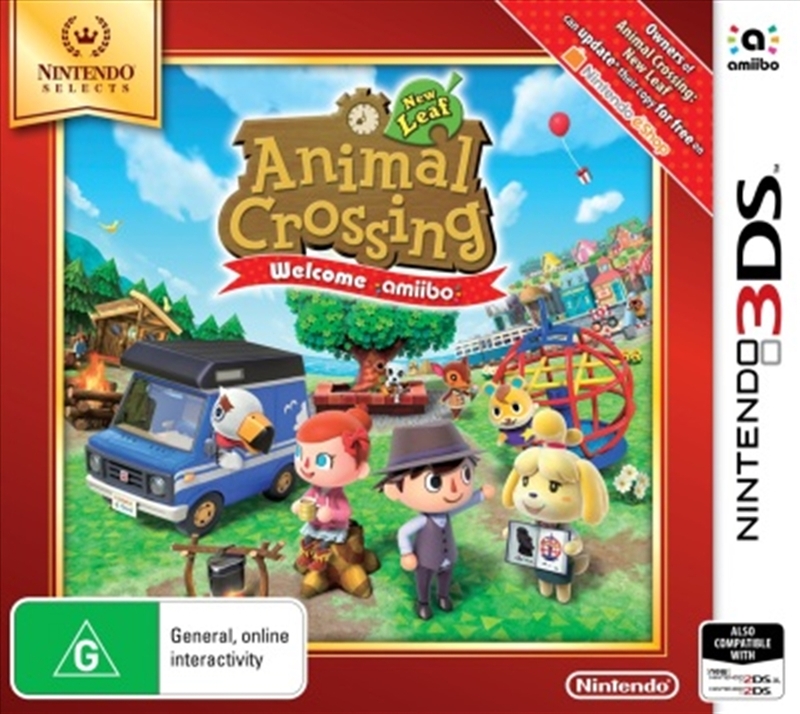 The charm and creativity of Animal Crossing returns as a Nintendo 3DS exclusive with Animal Crossing: New Leaf, and this time you step into a new role-mayor-where the decisions you make will shape your town and your life. Experience a living, breathing world where new friends and new discoveries await every day-morning, noon, and night. Express yourself by customizing your character, your house, and your town as you create your ideal world. Visit other players' homes and towns through your local wireless connection or online play for creative inspiration, or to socialize with up to three other players at once. Show off your custom designs and cool new outfits by posting your in-game screenshots with Nintendo 3DS Image Share. Cultivate your creativity and make Animal Crossing your world with more choices and more fun than ever before! Tap your favorite villagers' amiibo cards to invite them to come visit your town. You can also tap select amiibo from other series to get new furniture themed to those characters!